Magnaflow Race Series Muffler Inlet: 3.50"
Magnaflow's Race Series Mufflers are rugged enough to survive grueling races, like the Baja 1000, Dakar Rally, Monster Jam, and even X-Games. 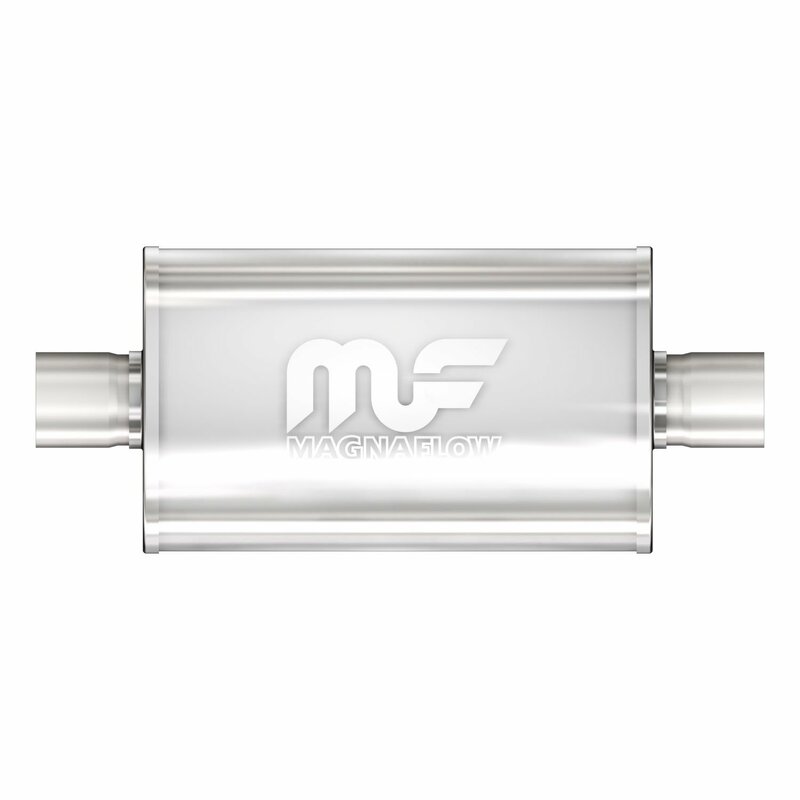 Magnaflow mufflers are tough as nails and gives you that performance you're looking for. Also, now that racetracks are enforcing stricter decibel level restrictions, Magnaflow is giving the consumer another option when it comes to choosing a muffler to stay within those guidelines. while meeting all track decibel level requirements.